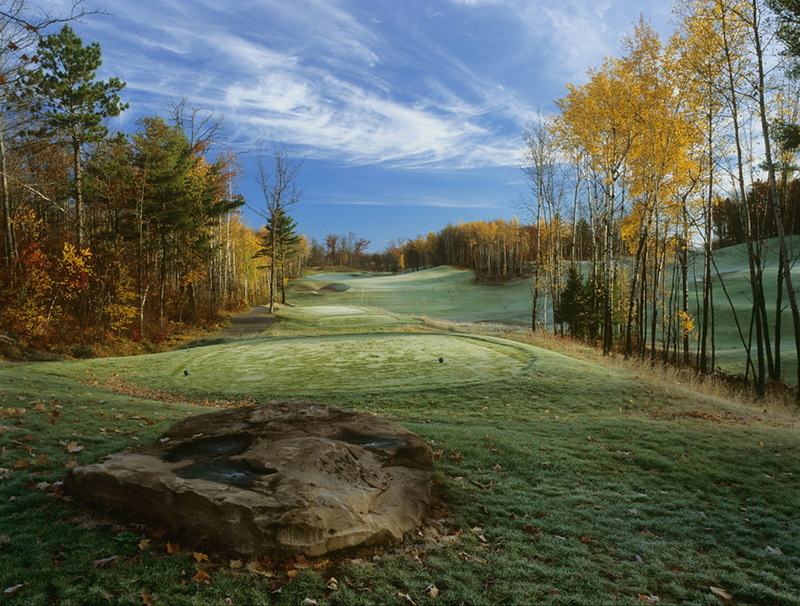 Timothy Liddy was the project architect for Pete Dye on this new golf course built in Hayward, Wisconsin. The golf course features two distinct nines, with the front nine laid out on an open site with flat topography and the back nine in mature rolling woods. This modest budget golf course continues to receive praise from raters that commit to traveling to the northern reaches of Wisconsin to play this golf course. It is ranked high in both GolfWeek’s and Golf Digest state-wide reviews. "Big Fish Golf Club provides a place where you can be in harmony with nature and the incredible game of golf. It is pure golf as it was meant to be. Blending traditional links land and north woods beauty, this layout has something for everyone. The golf course accents the beautiful landscape and offers a fun, challenging, and memorable golf experience. Bent grass tees and fairways, closely mown chipping areas, strategic bunkering, multiple tees, and world-class design principles make Big Fish a must play."